At the May 2013 ACA conference held at the Hilton Hotel in Glasgow, M3AT were awarded the ACA/Promocon "Look Good Feel Good Award" for URINEX™. The judging panel comprised of representatives from The Bladder and Bowel Foundation, The Continence and Skin Technology Group, Association for Continence Advice (ACA) and Promocon. 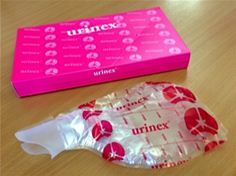 URINEX™ the first disposable Urine Management System (UMS) for women with a patented free flow in anti-reflux valve, aims to revolutionize urine management in hospitals and home care settings by resolving major issues presented by current bedpans: spillage, smells, disinfection time and costs, nursing time and cost, inventory and storage issues, patient psychological stress and infections, and most importantly, none of the current systems are optimal for bedbound female patients. Dr Benoît Cailleteau, CEO stated : ”Winning the ‘Look Good, Feel Good’, Award for Urinex™, is a great honour and an endorsement that will help us inform health care professionals and the general public about the severity and economic burden of hospital-acquired urinary infections." M3AT is an independent medical product manufacturing company, with prime focus on developing and selling innovative, single use products that meet unaddressed patient and clinical needs with environmentally sustainable materials. Our primary aim is to become the number one choice in urine management.